It's just you and the universe. 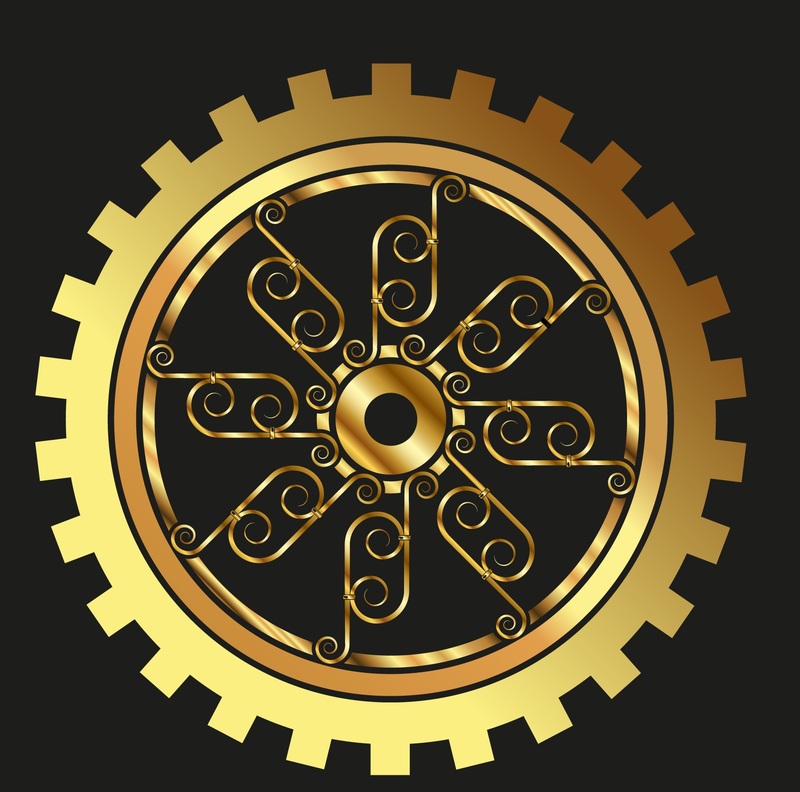 This is the third post in a series about Steampunk Worldbuilding. If you’re a science fiction fan, you probably know that Luke only sold his speeder for 1600 credits, and Han wanted 8,000; so Luke and Ben compromised, paying 2,000 in advance with 15,000 agreed upon arrival in Alderan. Han also had a price on his head “so large, every bounty hunter in the galaxy will be looking for you” – according to Greedo, that is. But that price was almost motivation enough for him to desert his friends and future wife to pay Jabba off. Good thing Leia takes care of that for him later! I knew that my Steampunk world needed to include money in a big way. Why? Well for one thing, my hero, Cyrus, is a pirate. Why do people become pirates? They are societal outcasts for some reason and are forced to steal to survive. I also have a dominant form of government, the New Alliance, and a rebellion. My world has rich people, poor people, and everyone in between – and money is both a motivating factor and an explanatory factor for the things that they do. • Why is Cyrus a pirate? Is he a successful pirate – and what does that mean? • Why is Evangeline a slave? • Why is the New Alliance so powerful? • Why isn’t the rebellion in power? • Why would people spy for either side? • Why wouldn’t the common people stand up to the government? I always came back to one answer: money. Or technology – which lead me back to money. But asking the questions above were extremely powerful because they allowed me to build the back story for each of the characters, and to discern how important money was as a primary motivation for each of them. To build my world, I used a lot of the concepts in the book, Grain Into Gold. I came up with the idea that there would be multiple currencies still floating around from before the First War, because it does take time to mint new currencies and the United States is still across the pond, so it would be the last to receive that currency and have its use enforced. Even if the New Alliance minted a new currency, there would still probably be private exchanges in other currencies for those who have access to international travel. Interestingly, my father was a career history teacher and he explained that one of the problems with the U.S. when it first began was that every state was minting its own currency. This practice pretty much halted trade between the states until the federal government stepped in and forced everyone to use one currency. But it begs the question of what happened to each of the former state currencies. Were they traded in one-to-one for the new federal currency? Or did some states’ currencies count more than others? • If someone was rich before the new government, would they still be rich after the takeover if a new currency takes effect? • What happens when a currency becomes worthless? • Would the New Alliance and the rebellion be using the same currencies? Or would one be worth more than the other? • How could the either the rebellion or the New Alliance use currencies to their advantage in a war? The use of currency allowed me to build a more realistic world, with characters whose motivations we understand because they still mirror our reality even though the world itself is very different. The use of multiple currencies can give some amazing potential for economic warfare. What if one state’s currency suddenly becomes worthless? What if all currencies become worthless to the New Alliance but its own – and the ruler decrees the death penalty for everyone who can’t pay taxes that year? I hope that this has given you some food for thought. In the fourth post, I will discuss mining in the 1850s, and how I used the mines and mine lords to give depth and realism to my world. As I mentioned in my last post, I created a world where Nicholas I of Russia took over the northern hemisphere, calling his new empire the ‘New Alliance.’ After creating the time, place, and governmental structure of the world, I needed to think about the impacts of these things on the society. I wanted my characters to have a kind of innocent heroism that comes from not seeing war. I had never really pondered this before writing this series, but Luke Skywalker, Harry Potter, Neo, Katniss Everdeen, and many, many other heroes are all born in the time period after a war, where the adults are still suffering the after effects of the first war, but they go forward despite the warnings. So I decided that when Nicholas I actually conquered the people it would be called the First War, and it would have happened around 1830, about 20 years prior to the start of my story. Cyrus and Evangeline would have been too young to participate in the First War but they would have felt its effects, and they interact with people like Dr. Riggs and Captain Madrid who had been in the rebellion during the first war. To create the societal tensions in your story, you want to ask questions about what happened to the people before, during, and after recent major events. For me, these were questions about what happened to the people before, during and after the most recent war occurred. 1. How does a hostile takeover affect the people of a country? 2. Does it differentially affect the rich and the poor? 3. How does it affect minorities such as women or people of color? 4. What is the new money system based on? 5. Who ‘buys in’ to the new government and why? Who doesn’t and why not? 1. How did Nicholas I taking over the world affect the people? 2. How did the rich people react when he swept into North America? What about the poor? 3. What happened to women’s rights since he was from conservative Eastern Europe and the United States was one of the most liberal countries for women’s liberation? 4. Who did the New Alliance make rich in their new world and why? 5. What happened to people who were members of the former rebellion? Did he kill them? Torture them? Did some escape? These answers will then be woven into your story, providing the motivations and underlying hopes and fears of both protagonists and antagonists. My answers to these questions are woven through the six novellas, and as they progress the characters become a lot more detailed because they have this history. There are people who were rich before the war who went along with the New Alliance despite their hatred for it, rich people who are now poor because they had joined the rebellion, and plenty of poorer people who go along with the New Alliance because the form government didn’t really affect them as long as they get paid for their wares. There are the new rich mine lords, endorsed by the New Alliance because they use slavery to make millions, and the pirates who steal from them to give to the poor. Women who had been free are now slaves to the whims of men again. These answers also gave me running themes – class struggles, the struggle for individual freedom, women’s independence, and the struggle for individual identity and meaning. What will my characters sacrifice for their ideals? Will they lie for them? Fight for them? Die for them? Around the time I was answering these questions, I did do some research on the United States at the time the story was supposed to take place. In actual United States history, the 1850s saw women’s rights and human rights as huge issues. The 1850s saw the first coed university, women were being granted the right to own property in their own name in several states, and the right to have separate economy from their husbands. The Civil War was fought from 1861-1865, killing over 600,000 people. The end of the Civil War saw the collapse of the south, the end of slavery, and the expansion of civil rights. The real history at the time was rich and vibrant, and variations of the themes provided enough inspiration to make a vivid, detailed steampunk world. How does one begin building a viable steampunk world? Well, not like I did. My first introduction to writing Steampunk was in response to a call for stories for the second edition of Science Fiction Romance Quarterly magazine. I briefly wrote Cyrus and Evangeline’s story as a piece a little over 8,000 words. I had the airships, the two main characters, and the plot; but what I didn’t have – and what really makes Steampunk unique – is the world. Steampunk requires more of the writer than simply a compelling plot and 3-dimensional characters. Like all subgenres of science fiction, it takes the detail to the next level, requiring the author to build the world around the characters with depth and fine detail of historical, scientific, and social aspects which make the story extraordinary, yet believable. 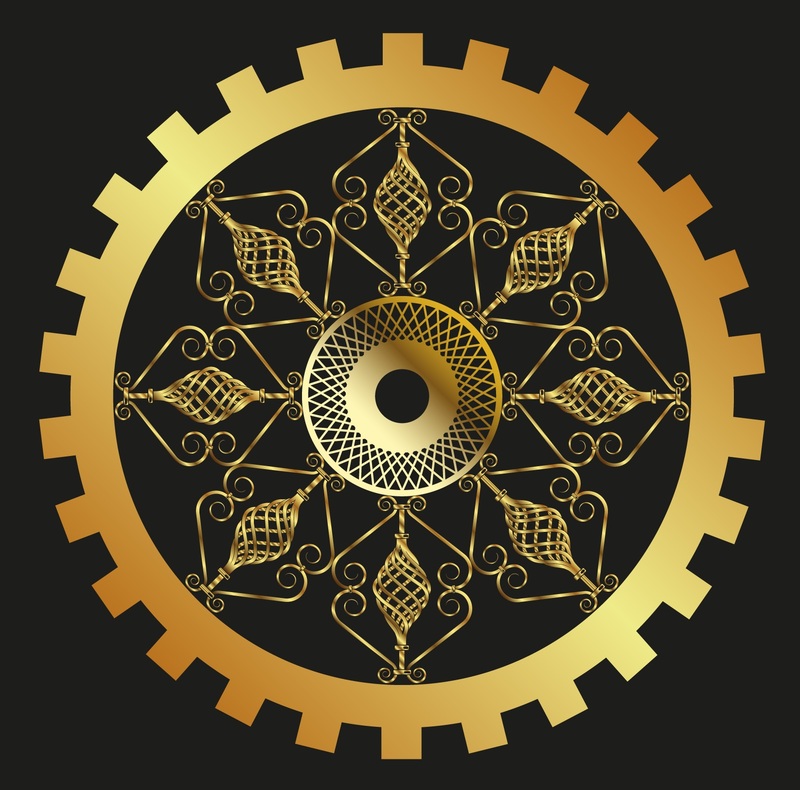 Over the next few weeks, I will share with you the aspects you need to consider to build a viable, unique Steampunk world; and what I did to make my own world a wondrous and compelling place to test my characters and allow them to overcome all obstacles and become who they were meant to be. MOONLIGHT free download on Amazon!